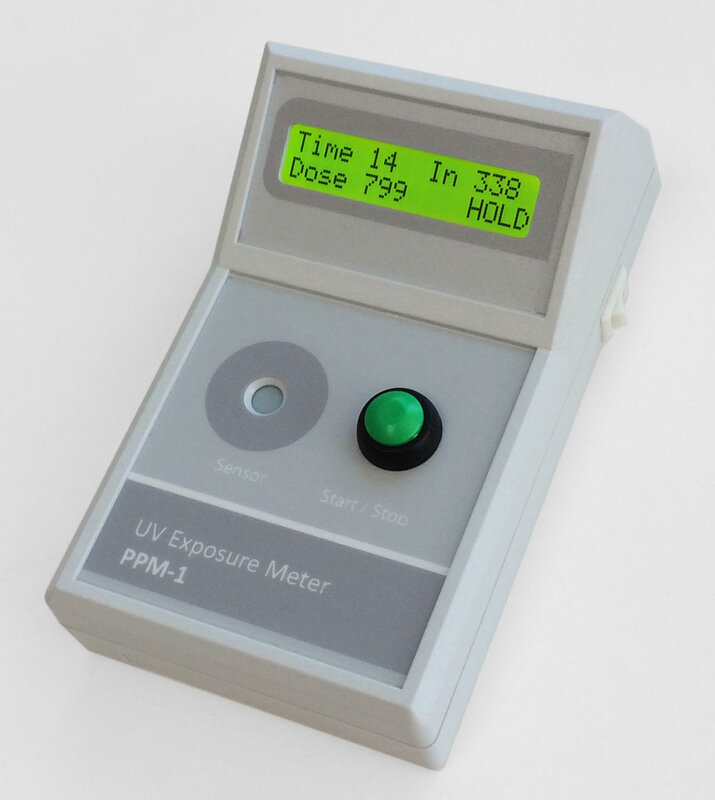 The meters are designed to enable the artist to get perfect exposures every time without the need to make test strips for every exposure, even when using light sources (such as the sun) where the UV levels might be variable. 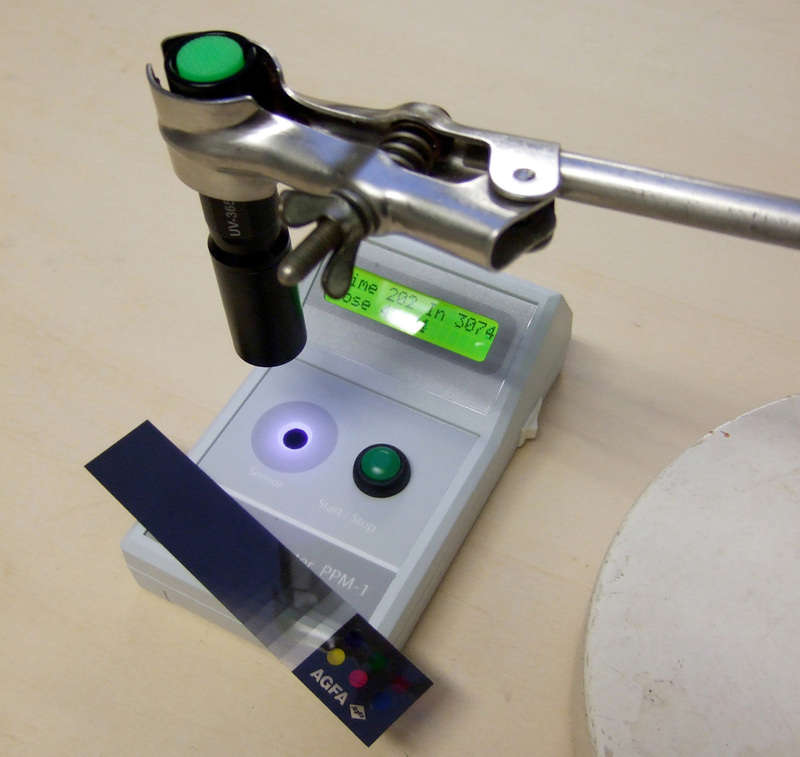 You use the meter to establish a 'target UV dose' for your combination of light source and medium (using test strips in the usual manner) but which you only need to do one time. 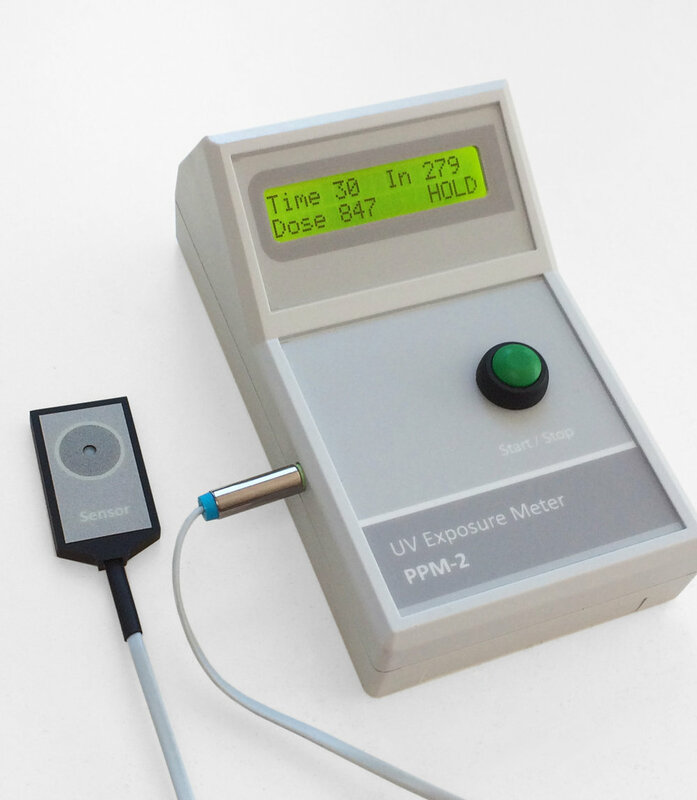 Then use this 'target dose' for future prints - you don't need to make any more test strips, simply use the meter to monitor the UV during the exposure step and stop when you reach the target dose. We encourage you to read our Frequent Questions page for information about measuring different light sources or using different media. Please see the PRODUCTS page for full details and specifications. 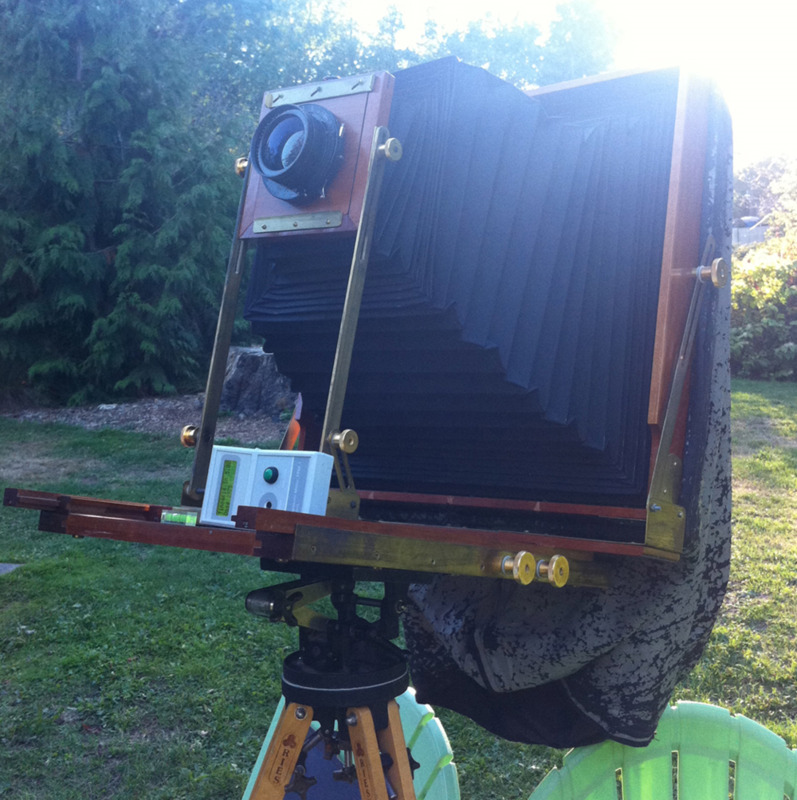 PPM-1 used for polymer photogravure with sun exposure frame - courtesy of Tariq Dajani, Spain. PPM-1 used for monitoring SolarPlate (TM) exposure dose, using sun for exposure and vacuum bag - courtesy of Ian Parker, California. PPM-1 used for monitoring ambient UV intensity in the studio - courtesy of Ian Parker, California.